Up-to-date First Aid Training and Infection Control certificates, along with my BA(Hons) Illustration degree and Personal Tattoo Licence. 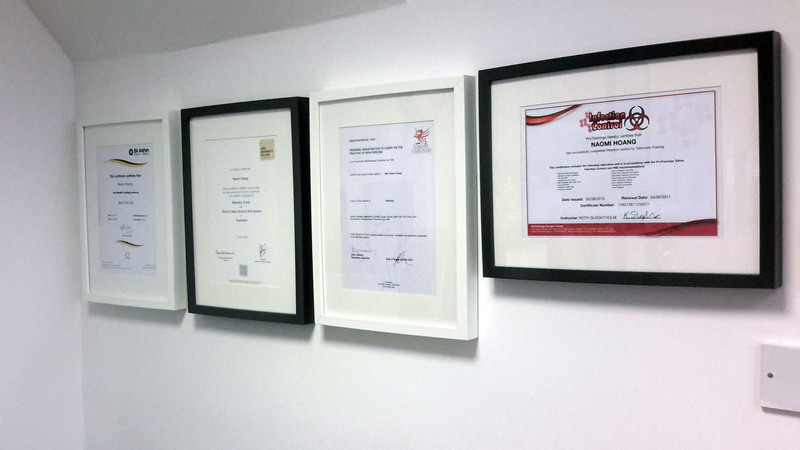 Basic First Aid, BA(Hons) Illustration, Personal Tattoo Licence and Infection Control certificates (credited to Naomi Hoang) are clearly on display at NAOHOA Luxury Bespoke Tattoos, Cardiff, Wales (UK). You’re in safe hands, my friends!